Tháinig beirt ón gCumann Sacar, St. Patrick's Athletic, Inchicore, go dtí an scoil ar an Aoine, 13/12/2013. Bhuaigh said an Léig Eirtricity i mbliana agus thóg said isteach an Corn. Bhain na páistí an taitneamh as bheith ag caint leo. 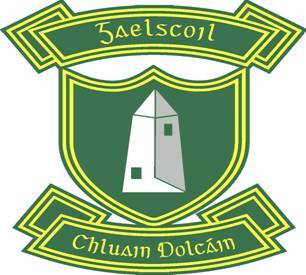 Tá go leor imreoirí maithe again sa scoil.